This came from someone on twitter – I can’t remember who – these people are amazing. If anyone knows who they are, tell them they have the best costumes in comicon history FULL STOP. I’ve seen this several times now and feel very dumb for not getting it. Help Grandma out? This entry was posted in Uncategorized on 2012-07-20 by Make It Stop!. Brian loves this stuff. He’s an old friend of Cassie’s, and one of the first people she introduced me to in Los Angeles. We got on immediately – he’s an Anglophile, scooter AND motorbike rider, and a makeup pro (and proud union member). I helped him set up his website (the sparse original, not this polished new one). Because he’s “industry”, he got me into San Diego Comic Con in 2008 and 2009, and also Wonder Con in SF in 2010. In 2009, he had the idea of us going as a zombie from the comedy film Fido, which is set in a 1950’s suburbia where zombies are domesticated – as long as they have their control collars on. He assembled the costumes (I still have my overall) and collars, and I figured I knew enough about wires and soldering to make the collars functional. In the movie, the collars light up when they are working, and if they’re not, the zombie “reverts to type” and starts eating people. I had the idea of putting in different colored lights, a buzzer, and a switch down inside the sleeve, so that normally the light would be green, and we would be docile and safe to be around. But now and then, say when people wanted to take their picture with us (which happened a lot) we could flip the switch and the light would flash red and a buzzer would sound, and we would go into “mindless killer” mode. A cool schtick, lots of fun, and people enjoyed it. Of course, it turned out to be more complex than I had anticipated, and it was only with the online help from a forum pal ‘rocket 88’ and my cybersecurity expert pal Dan in San Diego, who let me go over there and take up an evening of his time soldering and wiring, that I managed to get them working. Well-overdue thanks to them both. Just yesterday, I hear that Brian got an Emmy nomination for his work on an episode of The Middle, a show I will admit to not having heard of. Big congratulations to Brian, and awesome job on the costumes! Proud of you. This entry was posted in "Misc" and tagged Makeup on 2012-07-20 by mjp. 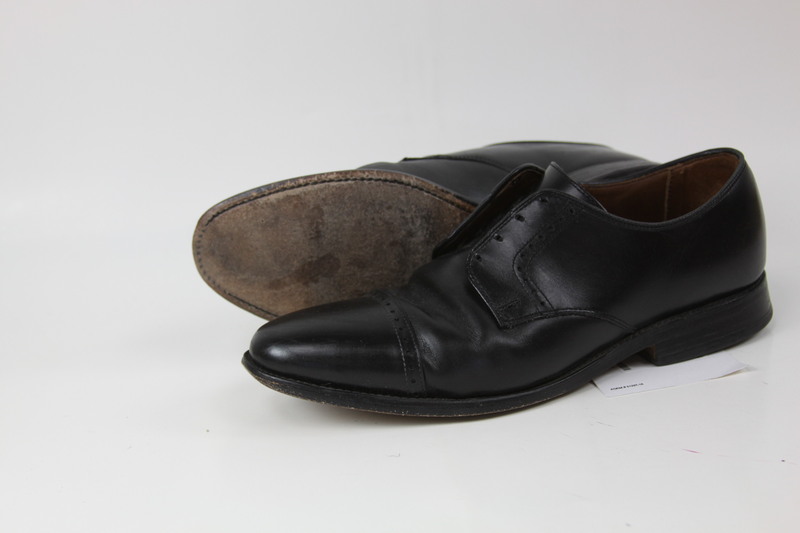 I have a couple of pairs of Allen Edmonds shoes. They’re made in the USA, and quite a “prestige” brand – I bought one pair for my wedding, and before that a simple black pair for work and dress occasions. After I knew what size and width I take, I bought another couple of used pairs on eBay for less than $50 each, because I knew they would fit, be comfortable, and be high quality. One of the reasons I splurged on these shoes is because I like the idea of buying something high quality, that will last a long time, and that can be repaired and refurbished rather than thrown away. As well the usual local shoe repairers, Allen Edmonds provide their own recrafting service, where you can send your shoes (for free) to their facility, where depending on the level of service you select you can get new heels, new soles, just a deep polish, or a full refurbishment. Then they ship them back to you, no shipping fee. 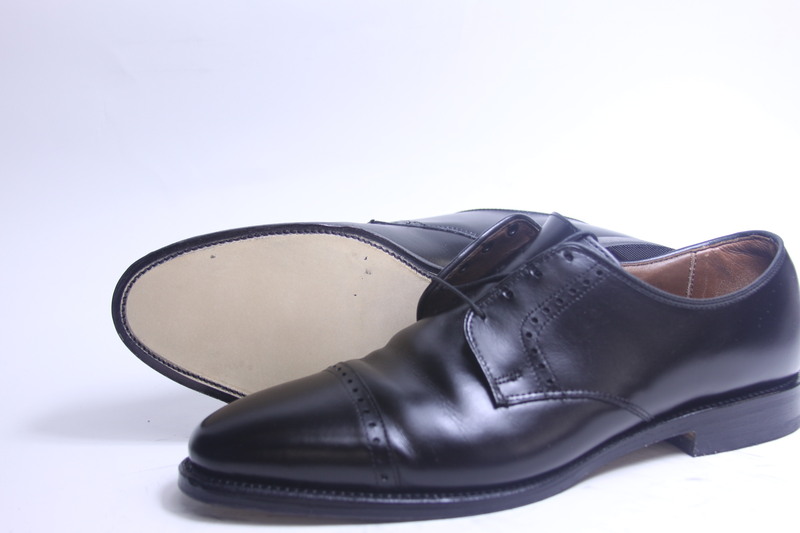 My black shoes were being worn regularly to work, and the leather sole wore through one day. So, I brought them into the store one lunchtime, and dropped them off for a full recrafting (not the super one with all the extras, but the next one down). Shortly after that, my recrafted shoes arrived at my house. They looked really good, with a deep shine, new laces, new heel and spotless new sole. Since then, I’ve worn them a couple of times, and I’ve got them on now. The problem is, they seem a little tight now. The weird thing is with these fancy shoes is how comfortable they have been. I know that sounds silly. I used to have a pair of dress shoes in the UK that literally made my feet bleed. By the time I’d broken them in so they were comfortable, the soles had worn out. I took them to the cobbler in Tooting, who replaced the soles, and they lasted me for a while after that, but I thought that was how it worked. You got some stiff shoes and wore them in. That’s a another reason the Allen Edmonds (and other quality shoes I guess) were a revelation. They were comfortable out of the box, fitting well, with no pinching or rubbing. You wouldn’t jog in them, and they’re not as soft and slouchy as my slippers, obviously. But great for the office and dressy events. So now my shoes that were comfortable from the start, and had been worn in so they were even more fitted to my feet, squeeze across the top of my foot and pinch my big toe causing me to limp, I’m a little disappointed. I emailed Allen Edmonds, and they responded quickly with the offer of taking them back and checking them. Good service, but I’ll call them first and discuss it before sending them off for another trip. I’ll keep you posted. I have another pair currently being recrafted – one of the eBay pairs. They were pretty well worn before I got them, and I’ve worn them a lot since, so sending them off for the full fancy treatment is good value to me. We’ll see how they get on. I hope they come out well. If this service doesn’t work out, it means I’ve spent a load on shoes because they can be recrafted, only to find that they have to be recrafted very often, and they don’t come back as the same comfortable shoes I bought. A poor value proposition. I’m hopeful though. The email response to my query makes me think they actually care about service. This entry was posted in "Misc" and tagged Shoes on 2012-07-18 by mjp. It’s been pretty busy the last couple of weeks. I was in Rome last week at the INCOSE 2012 Symposium where I was presenting a poster. I just received the replacement laptop that System 76 owed me after the first one they sent had a bloody great crack in the screen. Various other things have been happening as well, so I’ll try and get to them when I can. 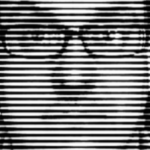 This entry was posted in "Misc" on 2012-07-16 by mjp.